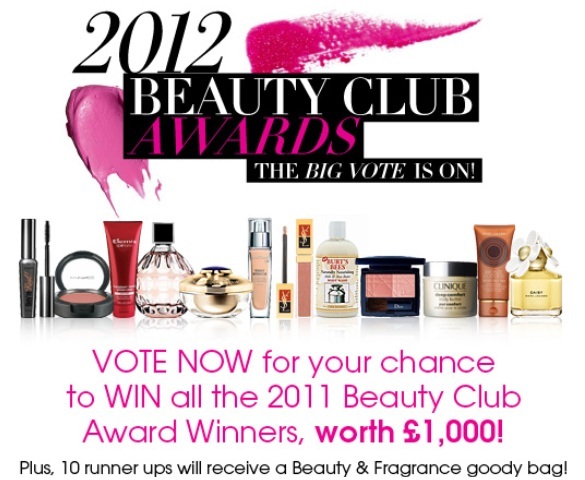 For the second year running Debenhams are launching their beauty club awards, where the best products are nominated by you and overall winners chosen by six industry judges. For the second year in the row I’m lucky enough to be one of those judges! To get involved in voting for everything from your fave fragrance to must-have concealer, take a trip to their Facebook page to place your nominations. In doing so you’re also in with a chance of winning a whole heap of products worth up to £1000 as well as putting your stamp of approval on the beauties you couldn’t live without. Voting ends on the 14th February so get involved now!